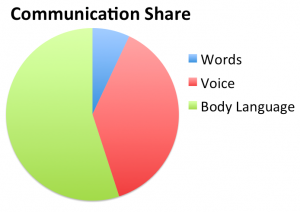 It is generally understood that there are 3 main elements in face-to-face communication. 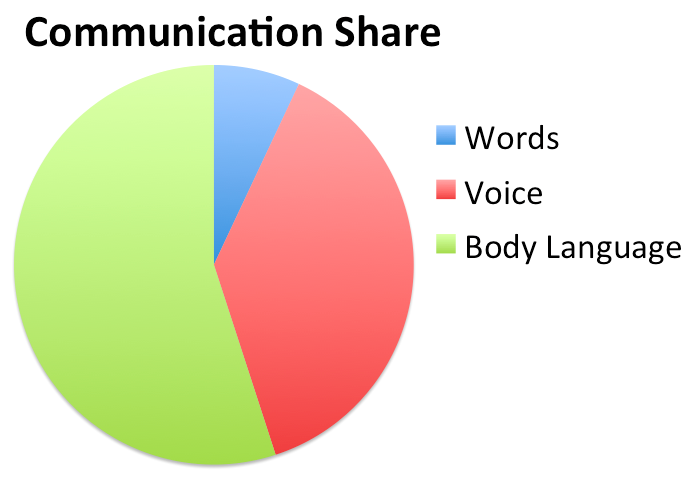 Of these, non-verbal communication, or body language, is the one which influences the message you send the most. When you speak to an audience and are the center of attention, people often make unconscious decisions about your character. Are you confident? Do you seem trustworthy? Are you the kind of person who has the dynamism I need in a business partner? Everybody who presents has to deal with this pressure. Luckily, you can provide positive answers to the above questions. Apply and practice some simple body language presentation techniques that work in global communication situations.